Buddhist temple – What Does The Fox Says? Even though my family identify as Buddhist-Taoist, I identify myself as an atheist. Thus I realize I don’t really know much about Chinese temples in Singapore. 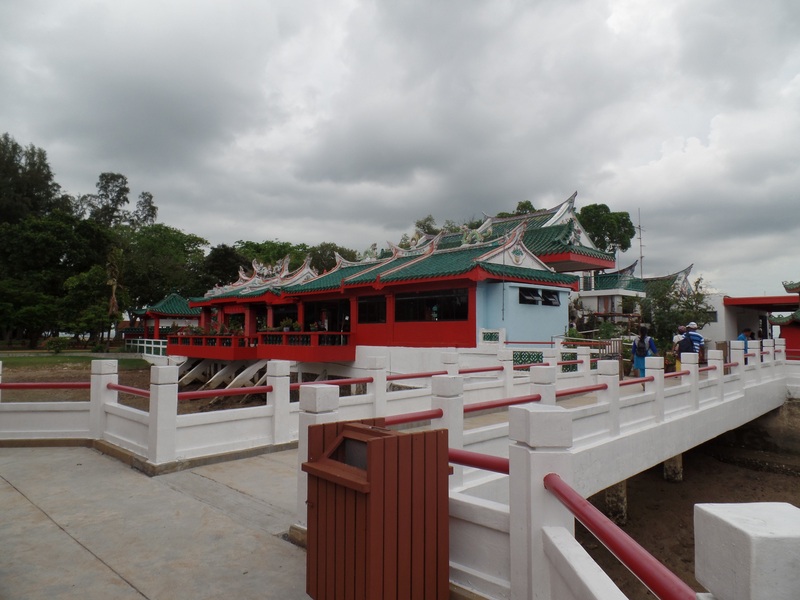 But 2 of Singapore’s Chinese temples does interest me. The first would be The Buddha Tooth Relic Temple, which you can read briefly about it on this blog (http://worldtoptop.com/buddha-tooth-relic-temple/). Beside looking impressive on the outside and a landmark in Chinatown, it is also the place our class had our Foundation Drawing outdoor drawing session. Another would be the Kusu Island Chinese Temple (read more here: http://www.islandcruise.com.sg/kusu_island.html) which houses Da Bo Gong and Guan Yin deities. I recently went there last December with NTU Cat Management Network during a field trip. 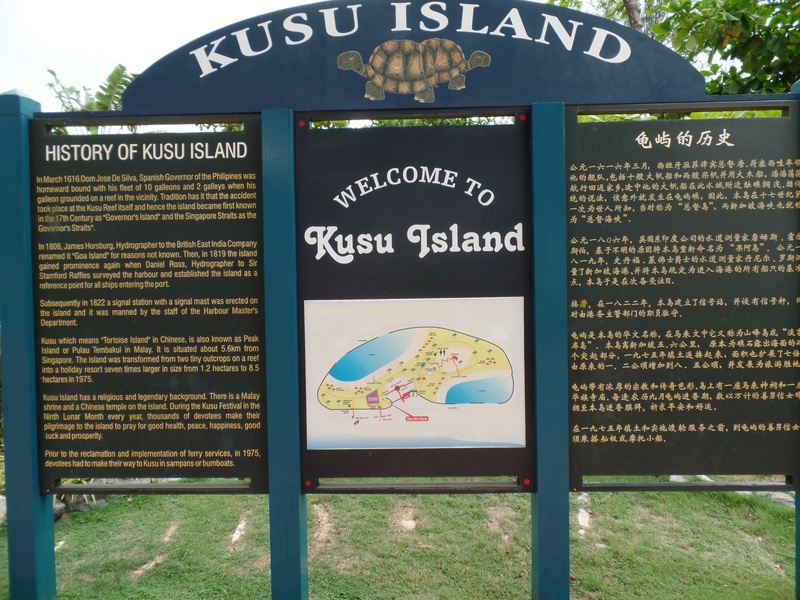 The story of Kusu Island itself is what I find interesting as the legend goes that “a giant tortoise turned itself into an island in order to save two shipwrecked sailors, a Malay and a Chinese”. On 6/2/2016, during the eve of Chinese New Year eve, my aunts and I went to a local temple to give offering to my oldest aunt (who had passed away). I took this chance to learn more about this Buddhist temple. 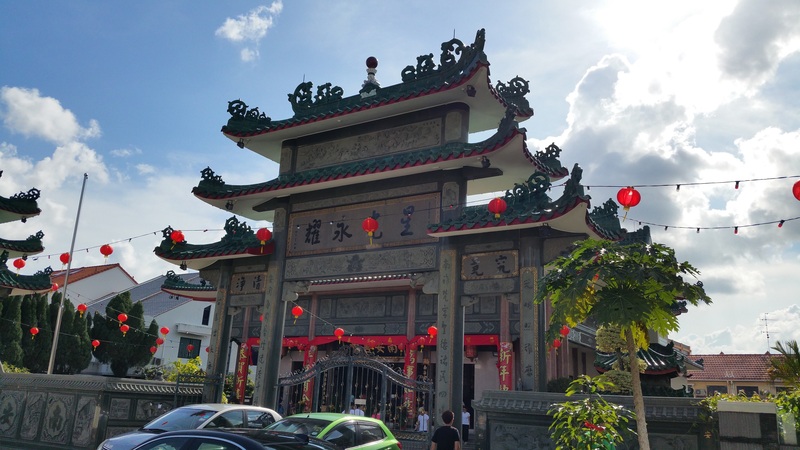 The temple is located at Paya Lebar and is called the Nam Ann Siang Theon Temple. You can read more here: http://www.beokeng.com/disptemple.php?temple=nam-ann-siang-theon. Even though I had been here before, after having a few lessons in Asian Art Histories, this made me viewed the temple in another light. The Nam Ann temple houses the deity, Song Da Feng Zu Shi, a noble-born-turn-Chinese-monk known for his charitable work to the poor and needy in the 1100s CE (read more here: http://mlkstst.org/en/our-heritage/da-feng-s-biography). The basement houses the ashes of departed devotees and another Buddhist deity/bodhisattva, Kshitigarbha. It is linked to a Chinese folktale, Mulian Saves His Mother From Hell. 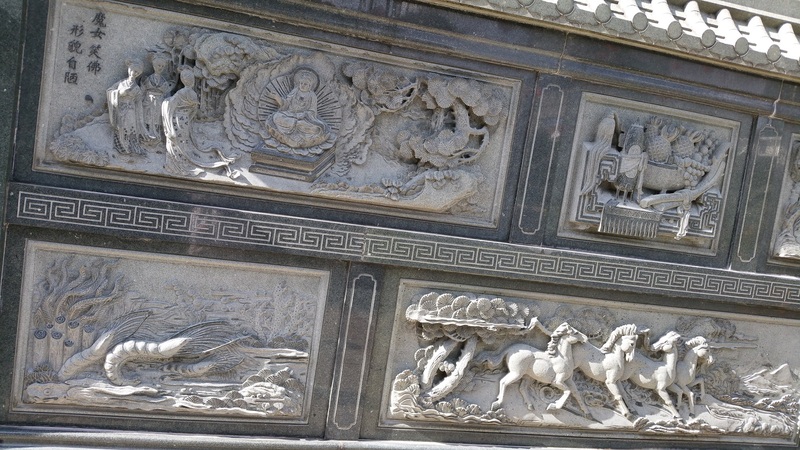 As with traditional early Stupa, the Nam Ann temple features narrative engraving on the walls and structures around the temple that talks about the story of the 2 deities houses inside. 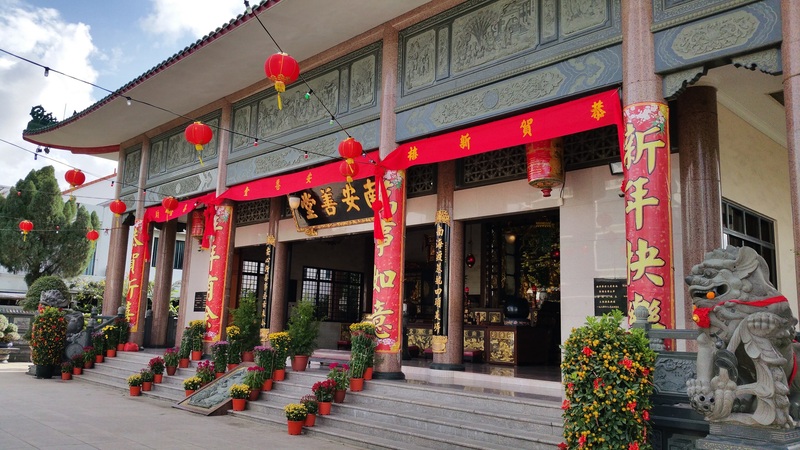 Just like most Chinese temple, you can tell this Buddhist temple is from a Chinese origin from the Chinese Guardian Lion known as Shi in China and is based on the Chow Chow dog breed. 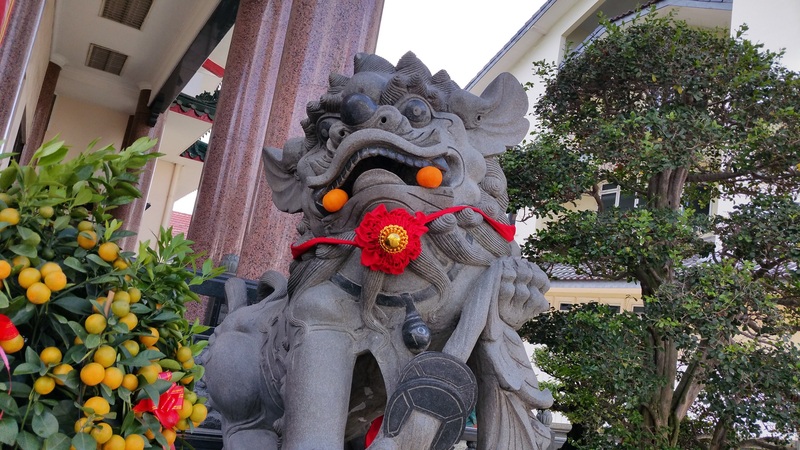 It appears the oranges and ribbon was placed onto the statue in celebration of Chinese New Year. The following Crash Course World History video talks about Buddhism in a historical context (as oppose of art history context) and I find it may be useful to watch and help broaden our understanding of Buddhist Asian Art History.